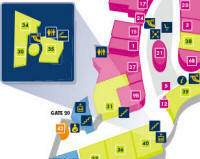 There is a smoking area inside terminal 1. 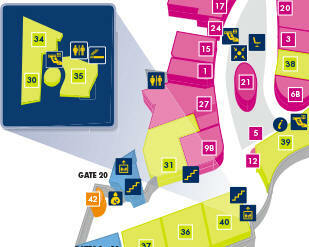 This can be accessed from the food court, just follow the signs. Update from Vlad B on the 16th Aug 2018: Manchester T2 smoking area is at gate 212. Looks like temporary structure. Don't know if one at gate 300 still exists. There is also a smoking area at terminal 2 which is located at gate 300. They still exist outside departures but arrival one is gone Diversion from arrivals is to departure zones Btw if you try and be clever and go to smoking zone in flight connections you can get there easily from main T3 but have to go back through connections security not recommended. Update from Mike F. on the 20th Sept 2018. 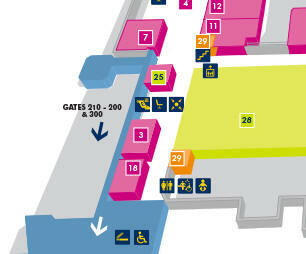 Unfortunately terminal 3 has no smoking area, but a suitable place is being investigated as we speak. For connecting flights in Terminal 3 you must enter UK and smoke outside terminal then go through Security again for your flight.